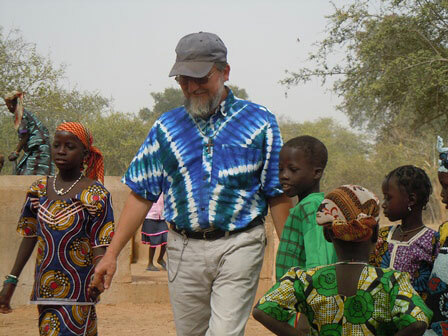 It is a well-known fact that the Niger Republic is one of the most challenging countries for Catholic mission work. According to official data the population of the country can be counted as follows: 93% Muslim, 7% Animists and 0.4% are Christians (Association of Religions, Nov 2012). Niger is fifteen times the size of Ireland and the Sahara desert covers 80% of the country. When Monsignor Oswald Waller SMA was appointed as the Prefect Apostolic of Shedam in Nigeria (1911) he vowed to “prepare the ways of the Lord by preaching the Gospel” all the way to Zinder (in Niger). Eight years later the first Catholic priest visited Zinder and the SMA maintained their ‘presence’ in the country until 1948. SMA priests looked after Zinder, visiting from their missions in Nigeria, to the south. At the same time, the city of Niamey was cared for by SMA’s coming from Dahomey. Fr Francois Faroud was the first SMA priest to live permanently in Niger, establishing the first Catholic Mission in the capital, Niamey in 1931. He was sent there by Bishop Steinmetz SMA of Ouidah diocese, Dahomey (modern-day Benin Republic). Pictured left are Fr Gigi Macalli, Archbishop Michel Cartatéguy and Fr Carlos Bazzara. The second resident mission in Niger was at Fada n’Gourma, established in 1936 by Fr Maxine Chazal. Three years later he founded the third mission, at Zinder. By 1948 there were three functioning Catholic missions in this predominantly Muslim country. In July 1948, responding to a request to provide missionaries for the newly-erected Prefecture of Parakou, Dahomey the Society decided to leave Niger, asking the Redemptorist Fathers and the entire SMA Niger team moved south to Parakou. At the request of the first Bishop of Niamey, Msgr Hyppolite Berlier, we returned to Niger in 1976 with French SMA priests establishing two communities. One group worked in the rural area, among the farming Gourmanche people, first at Makalondi and, since 2000, at Bomoanga. The second group established themselves in an urban setting, at Maradi, and later in Niamey itself. In 1999, Fr Michel Cartatéguy SMA, a Basque, was ordained as Auxiliary Bishop of Niamey. The work of the missionaries (CSSR, SMA, MAfr, Little Brothers of Jesus) and the small band of diocesan priests bore fruit when, in 2001, a second diocese was created in the country – Maradi – with Bishop Ambroise Ouédraogo at its head. When Bishop Romano CSSR stepped down as Bishop of Niamey (2003) he was succeeded by Bishop Cartatéguy who was noted for his excellent relations with the Muslim leaders, both civil and religious. With his small team of priests they continued to develop the different apostolates for which the Niger Church is noted today. Four years later he was appointed as the first Archbishop of Niamey. French SMA personnel were the founding missionaries. However, in recent years, we are experiencing a radical change in Church personnel. Many of the older (French) have gone or are preparing to leave, mainly due to advancing years. Other SMA units are sending priests to take their place or to develop new areas. They come from India, Italy and Spain. We are also hopeful that SMA priests from other African countries will also be assigned to mission in Niger. Today, three Italian SMA priests – Fathers Vito Girrotto, Carlos Bazzara and Gigi Maccalli – minister to the Gourmanche people (which means visiting at least 48 villages with about 50,000 inhabitants, mostly non-Christian). Recently, the Archdiocese presented an Ambulance to the parish to be used by the Health Centre (founded in 1968 by the missionaries but handed over to government control ten years later). The old ambulance was no longer able to take people over poor roads etc to the nearest hospital. The local community turned to the Archdiocese asking their help. With the assistance of a German agency and the Archdiocese of Niamey, a new ambulance was bought. It will take care the needs of the local population, who will be responsible for its upkeep and running expenses. SMA priests from France and India have also developed new parishes, in Niamey, as well as in Bomoanga, Torodi and Kankani. There are a total of eleven parishes in the Archdiocese today, some of them staffed by a growing group of diocesan priests. 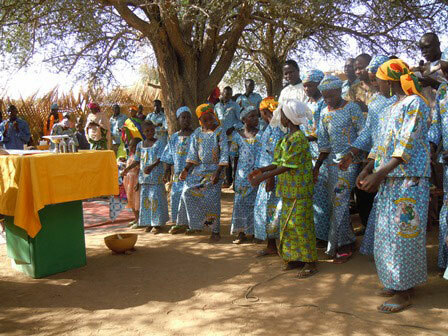 Though still few, it is a sign of the maturity of the Church in Niger that some ‘sons of the soil’ are responding to God’s call to be priests. A sign of this development was seen when, on 9 June, 2013, Niamey saw is first local diocesan priest being ordained as Auxiliary Bishop of Niamey. It was a great joy for all SMA’s – a sure sign that the seeds planted by Fr Faroud and his companions, as well as the Redemptorist priests, are bearing fruit in God’s time and way. Bishop Djalwana Laurent Lompo will assist Archbishop Cartatéguy in the pastoral care of the People of God in Niamey. Its latest diocesan priest, Fr Wilfried Jerome Agbanglanon, was ordained on 9 November 2013. As well as trying to build up a local clergy, Archbishop Cartatéguy has also overseen the development of a well-organised laity, with many Committees looking after all aspects of Church life. This is best seen in the many Social Services which the Church provides to all Nigeriens, regardless of faith. 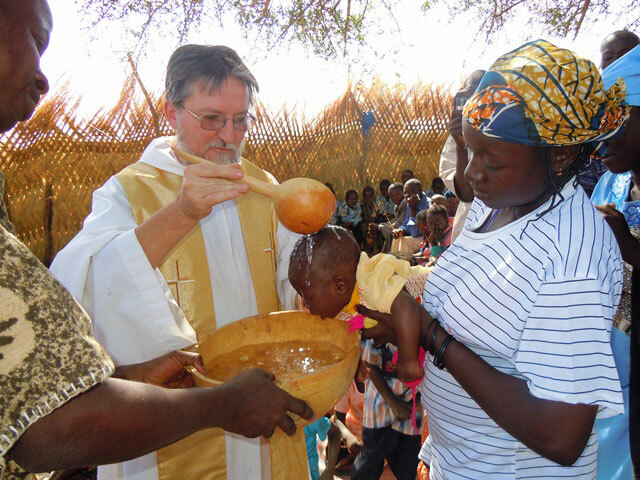 During the recent droughts and floods, the Catholic Church in Niger was one of the foremost agencies responding to the devastation wreaked by these natural disasters. A massive food distribution network ensured that food got out to remote areas, which other groups were not interested in going to. For example, in August 2013, one hundred Malian refugees were given food and cooking utensils through the Caritas committee in Saint Augustine’s parish in Bobiel, a suburb of Niamey. In 2013, we had a total of 13 SMA priests (from Argentina, France, India, Italy and Spain) and 2 African SMA seminarians (from Benin Republic), on a pastoral training year in Niger. Clearly, our SMA presence in Niger, as regards European personnel, is decreasing, particularly due to the ageing of our priests. This is also the case for us in the other 14 African countries where we have missionaries. Liturgical dance during Mass in Makalondi. But we have also had to take account of another reality in Africa – the rise of fundamentalist groups who want to establish radical Islamic states, free from all forms of other faiths and ‘western’ influence, particularly in education. Though the Niger government welcome and appreciate the work of Christian groups, they too are under threat from these radical groups, who model themselves on Al Qaeda. 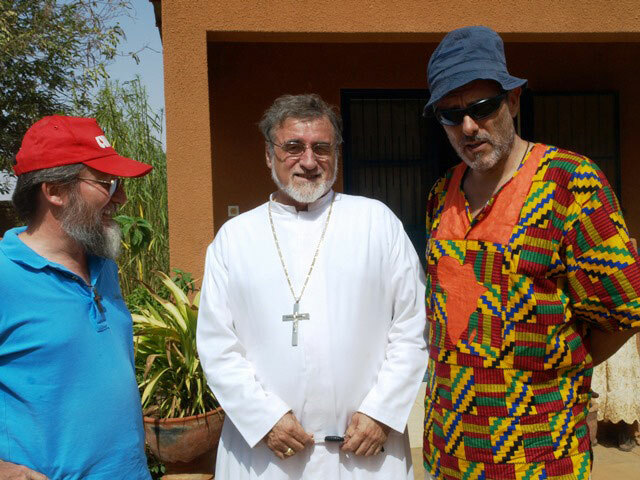 In 2013 our three Spanish SMA priests had to withdraw from their mission in Tera, bordering both Burkina Faso and Mali, as there were fears for their safety from radical Muslim fighters. Two of them returned to Spain whilst the third has been reassigned to a different part of the country. Archbishop Cartatéguy himself is also unable to travel freely around the country and the Nigerien government look after his security. There is no doubt that our presence in Niger must continue. However, we must be clear on what type of presence we can have here. We continue to care for the small number of Catholics in the country. Beyond that, both in Niamey and elsewhere, our pastoral activity is one we may define as related to the ‘sitting mat’. We are present, as SMA missionaries, among the people, listening to them and answering their questions. Our aim is to let the people know that Jesus Christ and his Church are present among them, regardless of what religious beliefs they profess. Our Italian SMA missionaries have found the Makalondi area a fruitful and enjoyable “island” for the catholic faith: they registered new members with baptisms although elsewhere baptisms are uncommon. The Makalondi team are seriously engaged in making contact with worshippers of the Traditional Religions, e.g. some of the Peul people who can be found in Niger and Benin Republic. Another essential task for the SMA is to reach out to non-Nigeriens, many of whom are very poor and destitute in comparison to the indigenes. Fr Mauro Armanino SMA is very involved with these ‘strangers’. Following on the example of Archbishop Cartatéguy the SMA is also invested in fostering Interreligious Dialogue with moderate Muslims, so that we can continue our work without causing friction between the two faiths. We also try to ensure that the Catholic faith is presented in a way that is familiar to the people. The work of inculturation and adapting our religious practices to a Nigerien environment is an ongoing task, without compromising on what is essential in the faith. The local Catholic community must open herself to the universal church – being involved in the missionary work of the Church, in the spirit of the 2nd Vatican Council.